The Body Shop's latest compact foundation and part of its MoistureWhite range, is the MoistureWhite Bright Compact Foundation SPF25 PA+++. I guess that's a pretty self-explanatory product name: it's a powder foundtion, it's in a compact form, it has brightening properties, and there is sun protection in the product. With such a comprehensive product name, what more is there to say? The Body Shop essentially succintly summarized what the product does in less than 10 words! 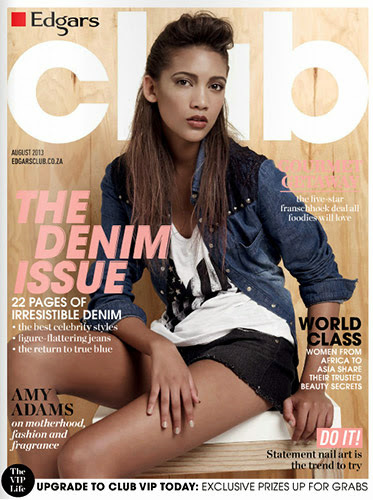 Let's end the review here and you guys can just scroll down and look at photos! Yay! Just kidding. (Aside: I don't know if that joke was funny or not. At least I tried!) 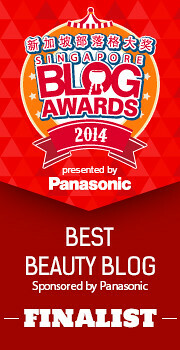 I still do have lots more to say, because that's just the kind of verbose makeup geek I am. 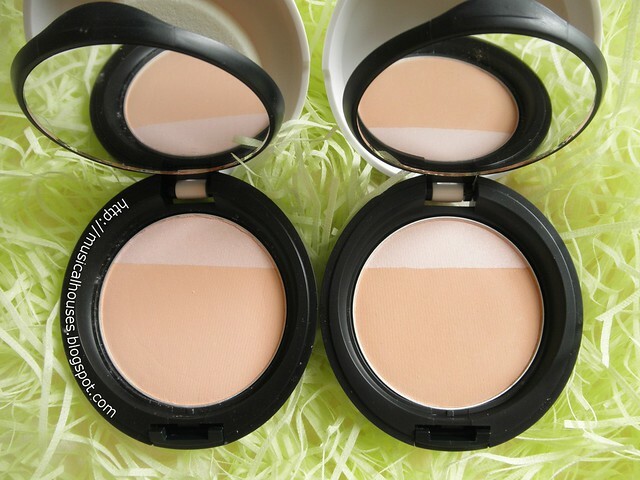 The MoistureWhite Bright Compact Foundation actually has two different colours in the compact. The main colour, which takes up most of the space in the compact, is the foundation colour. But there is also a little pink, shimmering strip inside, that is meant to act as a highlighter of sorts to brighten your complexion. The Body Shop claims on their website that the product is "infused with light-diffusing fine mica pearls" and that "the illuminating part of the compact is designed to bring multi-dimensional light...so your complexion looks radiant from every angle". 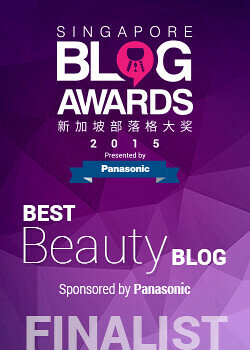 Whitening, brightening, and illuminating properties in base makeup (primers, foundations, BB creams and so on) are always popular in Asia, so this is definitely the kind of marketing that people would be curious about. Right, you say. So the MoistureWhite Bright Compact Foundation has brightening properties. But how does it work? Which ingredients give it these awesome illuminating properties? And speaking of brightening, does this product actually contain anything that will brighten my skin over the long term, like a skincare product? (See, this is why I have more to say!) And to answer such questions, we'll start off at the ingredients list of the products, and take a look there. 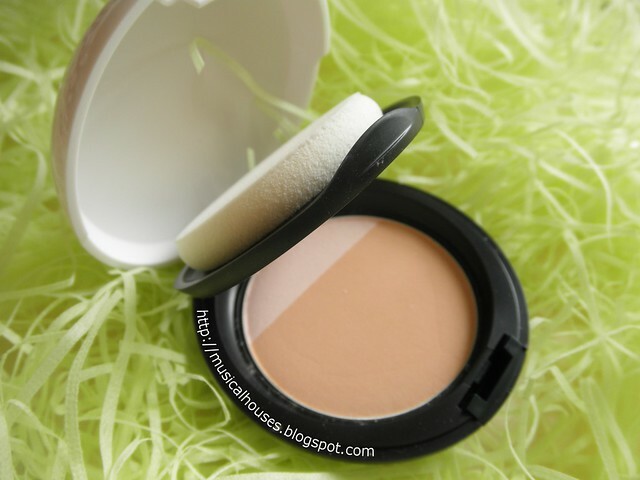 The ingredients are pretty typical for a powder foundation, and nothing out of the ordinary. There's Talc, a naturally-occuring mineral that has long been used in cosmetics and is pretty much the base for the vast majority of powder foundations and face powders, there are brighteners and shimmer of various types (Mica, Synthetic Fluorphlogopite, which I accidentally bought too much of in my last Coastal Scents haul), which of course give the product its nice illuminating effect. The mix of Mica and Synthetic Fluorphlogopite (which can function as a bulking agent, but also provides a fairly fine, non-obvious kind of shimmer, and is also found in products like the Guerlain Meteorites and other high-end powders or highlighteres like Chanel, Hourglass and so on) suggests that the product may have itsy bits of sparkle, but nothing too overwhelming. 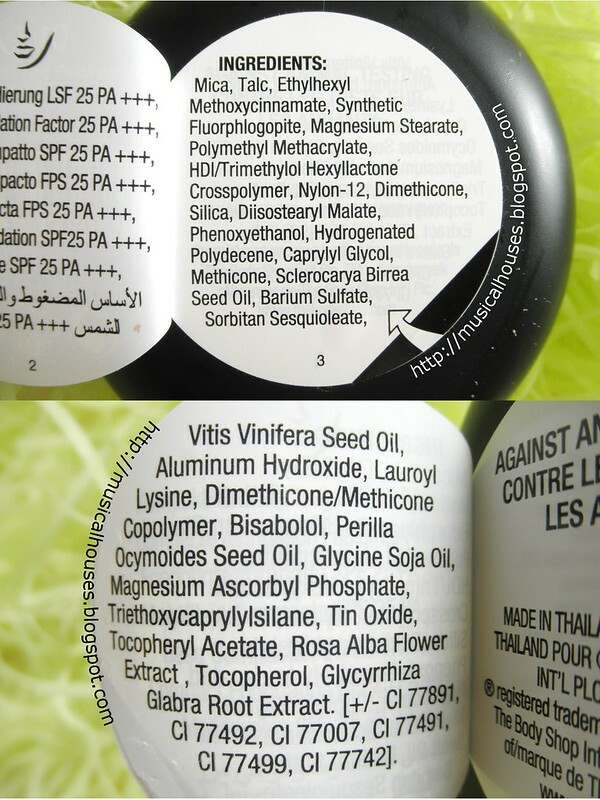 Then there are the sunscreen filters (Ethylhexyl Methoxycinnamate is the only filter used here), and other functional ingredients like thickeners (Magnesium Stearate), film formers (Polymethyl Methacrylate), polymers and other anticaking agents (HDI/Trimethylol Hexyllactone Crosspolymer, Nylon-12), Dimethicone, a silicone with a nice slip on the skin with some emollient properties, and, Diisostearyl Malate, also an emollient. 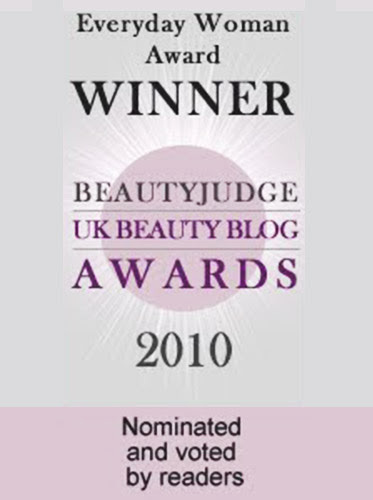 There is also Silica, a filler that also has nice oil-absorbing and other cosmetic properties (I'm actually a big fan of straight up 100% silica powder, as evidenced by this super ancient blogpost from 2012, where I said I had been using silica powder for 3 years). After that, we reach the main preservative, Phenoxyethanol, which is typically used in amounts of under 1%, so the rest of the ingredients are in pretty small doses of less than 1%. This would include the plant oils and other extracts (Sclerocarya Birrea Seed Oil, Vitis Vinifera Seed Oil, Perilla Ocymoides Seed Oil, Glycine Soja Oil, Rosa Alba Flower Extract, Glycyrrhiza Glabra Root Extract), as well as Magnesium Ascorbyl Phosphate, which has antioxidant and whitening benefits, and other functional ingredients like emollients (Hydrogenated Polydecene, Caprylyl Glycol), some secondary silicones and polymers (Methicone, Dimethicone/Methicone Copolymer, Triethoxycaprylylsilane), and the like. So, after wading through the ingredients list, what can we say about the product? First, it will probably give you a nice shimmer or illuminating effect, and that the texture will probably be fairly smooth and not cakey. And it probaby won't feel like it is drying out your skin. That said, I'd be cautious about whether there are any actual skincare benefit from the product - while it does have Magnesium Ascorbyl Phosphate, you'll need more than <1% of the ingredient to see any significant effect. Ideally, you'll need at least 10% concentration for topical use, or 5% if you're combining your Magnesium Ascorbyl Phosphate with pulsed light treatments. But sincee this is a foundation product and not a skincare product, I'm not going to quibble - it's a nice bonus. And as a bonus, there isn't anything in the product that are red flags for those who are prone to breakouts eitehr, unless you are sensitive to the sunscreen filter. Indeed, my experience with the product was in line with what I expected when I looked at the ingredients list. I have two shades of the MoistureWhite Bright Compact Foundation, shade 01 and 02. Below, you can see the swatches of both shades. Because the pink highlighting shade was a separate strip by itself, I did three swatches - one with just the powder foundation alone, one of just the illuminating strip alone, and one with both of them blended together. In the swatches above, it looks like blending the pink strip with the foundation colour will make the foundation colour paler. In my case, it did, because I was using a roughly 50:50 ratio of highlighting strip with the base colour. But in practice, when you apply your foundation, you will use more of the foundation shade and less of the highlighting strip, so the colour change from mixing in the highlighter shade will be quite minimal. Also, I found Shades 01 and 02 to be pretty close - both are fair beiges, and either could have worked on my skintone, but 01 is a hair more pink than 02, which is a bit more yellow-based. I have the shades 01 and 02, and both were quite nice and smooth, and had a very pleasant not-too-powdery texture. 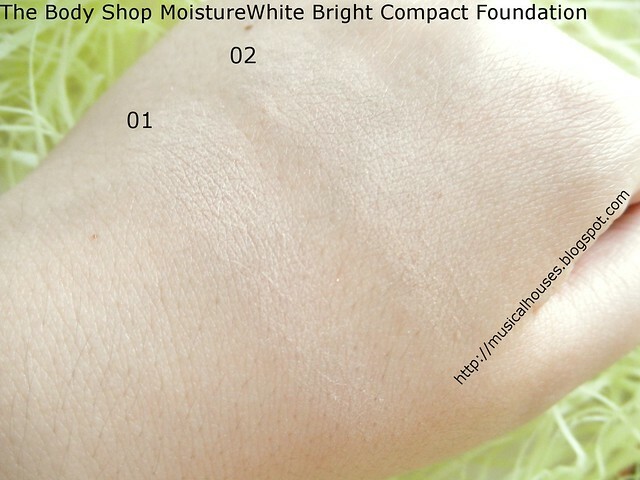 The combination of film-formers, anticaking agents, and other polymers gave the MoistureWhite Bright Compact Foundation a really nice skinfeel that was not chalky or dry, and that sat well on my skin when used. And for those who are worried about the foundation being too glittery or shimmery for the face - fear not! This is quite probably the most subtle shimmer I've ever seen in a powder foundation. 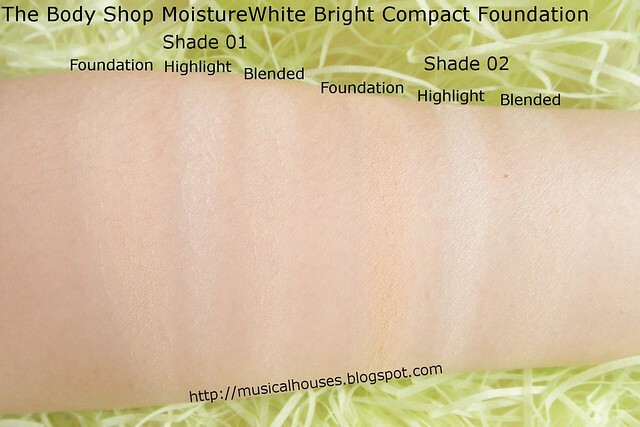 Below, you can see close-up swatches of the MoistureWhite Bright Compact Foundation with the pink strip mixed in, and there is barely any visible shimmer or glitter at all, just the softest possible glow (some might find it not blingy for their liking). It really does have a very nice finish, and I was impressed by how realistic and natural it looked on my skin - not too overly obviousy glowy, no bits of visible glitter, and no frosty shimmer at all. Before I move on, can I also take some time out to discuss the sponge that comes with the foundation? I know, I know, this review is already pretty long and here I am, talking about the sponge applicator? It might seem a bit trivial to talk about the sponge applicator, but the sponge that is included in the compact isn't just any old sponge - it's actually a double-sided sponge, with different textures on each side. 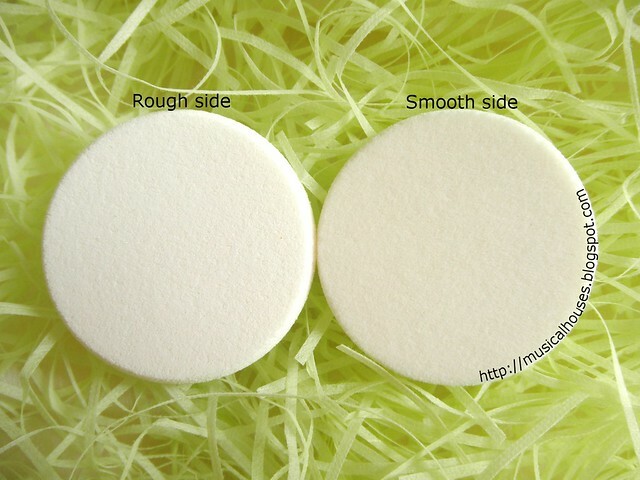 One side of the sponge is a rougher side, with a texture that is basically similar to the standard foundation sponge, while the other side is a smoother side, an effect acheived by having short little velvet-like fibers on the surface of the sponge. You can't really see the difference (I tried multiple times to re-take the photo below to get a photo that more clearly showed the difference but gave up), but you can certainly feel it. I found this sponge notable because I remember it being introduced to me way back in 2011, with another L'Oreal Group foundation brand. Back then, it was introduced as a new thing and part of the innovation of the product, and the brand rep spent some time explaning why this special sponge enhanced the application of the product. This time round, it wasn't mentioned (perhaps because it isn't as bleedingly new as it was 4 years ago), but the texture and feel of the sponge was so distinctive that the moment I picked up the sponge, I recognized and remembered it immediately! 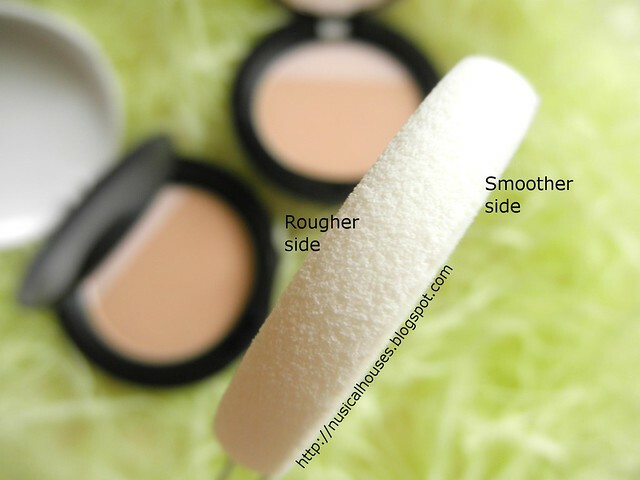 The idea behind having a dual-sided sponge, as explained to me in 2011, is that you first use the rougher side to apply the foundation, and then finish off with the smooth side to give a better finish. I honestly can't tell much difference unless I look closely at my face, but the velvety side always feels nicer during application, just because it's softer. But, I mention this (4 years down the road, yes) because it is nice to see this little bit of innovation incorporated into multiple products and multiple brands, too. It also seems to be unique to the L'Oreal Group brands, so that's a little bit of a differentiating factor that's exclusive to the company - like a small something that makes the product stand out from its competitors a little more. I always love little details like that, because it speaks to the care that goes into putting out a product (and, no reason to let a perfectly good sponge innovation go to waste, right?). Above, I've tried laying two sponges side by side, one with the rough side facing up, and one with the smooth side facing up. I'm not too sure how visible the difference is (it was equally hard to capture four years ago), but if you feel and touch the sponge, you will discern the difference immediately. Now that I've discussed the MoistureWhite Bright Compact Foundation's ingredients, texture, finish, colour, and even the sponge, here I am, wearing the product. While both shades 01 and 02 would have been equally workable on me, in this photo I'm wearing 01. 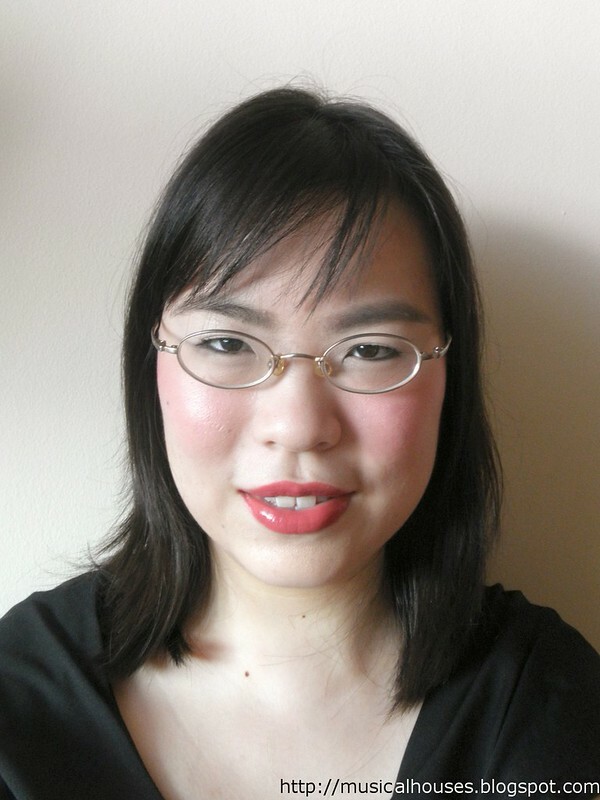 I really like the finish that this has - I'm not wearing any highlighter or shimmery blush, but there is a slight glow to the finish that is just visible enough to look very natural and skin-like. By far, the finish of the foundation was what impressed me the most about the product. I personally prefer foundations with more realistic finishes (neither too matte nor too obviously shimmery), so this subtle glow was really up my alley. I'm also wearing this without primer, but over a moisturizer with a thicker texture (L'Oreal Revitalift Anti-Wrinkle + Firming Night Cream, which I've reviewed before). In terms of lasting power, I found this to be decent - it isn't primarily an oil-control foundation, so eventually if you have any shiny spots they will show through, and for me, after a few hours I had a couple of shiny spots along the T-zone, which is pretty good for a foundation whose selling point isn't controling the oilies. As a bonus, the foundation didn't oxidize or do any weird colour-morphing on me either. So, with all said and done, would I recommend this? I would! I really love the finish on The Body Shop MoistureWhite Bright Compact Foundation, and I love how subtle the "illuminating" effect is, and how it looks very realistic on my skin. I also appreciate the formulation, which gives the product a smooth texture, and doesn't make my skin breakout, and the nifty little details like the sponge. And although it isn't the most long-lasting foundation I've tried, it still does pretty decently in that department. For me, I personally realy like this product, and at SGD$39.90, it's not excessively overpriced either. I know not every product works for everyone, and I'm not expecting the whole world to like it, but for me, this is a great product, and I really like it. No complaints! The Bottom Line: The Body Shop's MoistureWhite Bright Compact Foundation has a subtly glowy, skin-like finish, a smooth, non-chalky texture, and good lasting power. This sounds really great! I hope this makes its way to North America soon! I just bought this and I am a little sad that this is not all natural. I am trying to eliminated chemicals on my skin. :( my skin has healed from acne and imperfections after using natural tonics and creams. I thought the bodyshop sell natural products. Not so happy. I will use this as I have ran out if my lavera mineral loose powder.